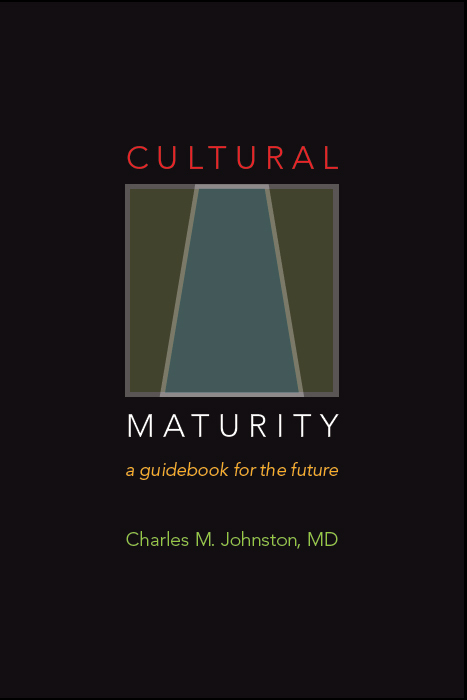 Dr. Johnston is often described as a “cultural psychiatrist.” Most futurists focus on technological advances and specifics of policy. Such concerns have a place in his efforts, but his greater interest lies with the psychological, social, and leadership capacities that humanity will need to effectively address the questions before us. 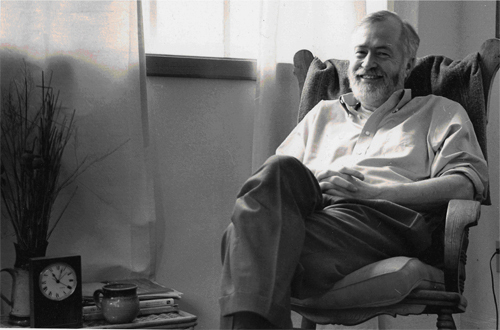 His early books include The Creative Imperative: Human Growth and Planetary Evolution (1984), Necessary Wisdom (1991), Pattern and Reality: A brief Introduction to Creative Systems Theory (2002), and The Power of Diversity: An Introduction to the Creative Systems Personality Typology (2002). 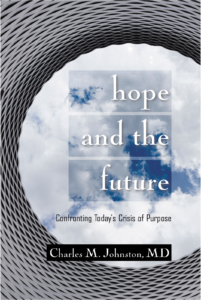 Dr. Johnston has released three new books over the last year: Hope and the Future: And Introduction to the Concept of Cultural Maturity (a concise overview of the concept ), Cultural Maturity: A Guidebook for the Future (With An Introduction to the Ideas of Creative Systems Theory (an in-depth look of the concept of Cultural Maturity intended for leaders, social change agents, and others interested in developing culturally mature capacities), and Quick and Dirty Answers to the Biggest of Questions: Creative Systems Theory Explains What it is All About (Really) (an introduction to Creative Systems Theory using big-picture questions to illustrate its conceptual power—for those who appreciate “theory of everything” perspective). See Additional ICD Leaning opportunities for information about consultation and trainings and (www.therapysearch.net/Charles_Johnston_48_.html) for contacting Dr. Johnston about individual work and psychotherapy. “A short chronology of my work: When I was in my twenties I hit upon a way of thinking about how human societies—and humans systems more generally—grow and evolve. I wrote about these ideas in my first book The Creative Imperative. Those ideas developed and filled out to become what is now known as Creative Systems Theory. The most obvious significance of these new ideas was that they help us better understand our past, just why our human story has progressed in the ways that it has. But I soon recognized that their greatest importance lay with their implications for today. We tend to assume that our current stage in culture’s evolution—that which gave us our modern concept of the individual, institutional democracy, free market economics, contemporary religion, and the scientific age—represents some ideal and end point. But Creative Systems Theory proposes that this is not so. It also suggests that if our human future is to be bright, we must now take on the tasks of a needed next chapter in culture’s story. I realized then that my life’s work needed to involve making sense of that needed next chapter in culture’s story and helping to bring it into existence. I proceeded to start a non-profit think tank and center for leadership training—The Institute for Creative Development—to explore Cultural Maturity’s changes and what they ask of us. I realized the Institute’s work would not be easy. Given that our interest lay with a new cultural chapter, inherently our efforts would require that we engage human abilities that, at best, we are only beginning to understand. But it was also clear that what we would be doing together could not be more important. The Institute brought together exceptional people to confront many of the most important questions of our time. It also trained people in the new, more sophisticated leadership capacities new questions will increasingly require. It was a time of rich inquiry and collaboration. But after leading the Institute for eighteen years, I realized it was important to make where our work together had taken us available to a wider audience. I also recognized that if the ideas we had been working with had a significant place in the history and evolution of understanding—as they must have if they in fact reflect a needed new chapter in our human story—they warranted further research to substantiate that significance. I stepped down from my formal leadership role to do additional research and to write. Hope and the Future, Cultural Maturity, and Quick and Dirty Answers to the Biggest of Questions are products of the years that followed. Each has similar intent—to help people understand the times we live in and to make sense of what the future will require of us—but is written for a different audience.” They, plus the Cultural Maturity Blog and the various Creative Systems Theory websites, will provide the foundation for my contribution in the years to come.